With the rise of online shopping, brick-and-mortar businesses today need to do everything they can to stay competitive. Sometimes that means using a traditional, tried-and-true method of boosting traffic and earning some passive income. We’re talking about the ATM machine. Your store, restaurant or business just might need one. Not everyone likes to swipe or dip the chip at a business. Credit and Debit card security concerns are causing some people to stick to the safety of cash. One-third of U.S. consumers (34 percent) say they are making more purchases in store with cash because of data breaches, according to ATM Marketplace. Avoid card processing fees: Customers who use your ATM and then pay cash in your business save you in credit card processing fees. Where’s my bank? In a tourist market, in particular, a customer’s regular bank may not be available or may be prohibitively far from his or her local destination. Your customer may want to withdraw money from or check his balance from an ATM before making a card transaction with you or another business. “Now that I’m here”: Average 7-Eleven ATMs perform about 3,000 transactions per month, according to National Cash, an industry provider. That could be 3,000 times a customer visits your business just to use the ATM, and while there, they notice what else your business offers. It’s a tax write-off: The ATM is a tangible personal property item which can be expensed. Your tax advisor can tell you about how the cost of an ATM machine can be depreciated or expensed beginning in the tax year that it is placed. Earn income on surcharges: Talk about passive income! It’s the easiest way to make money on your money. 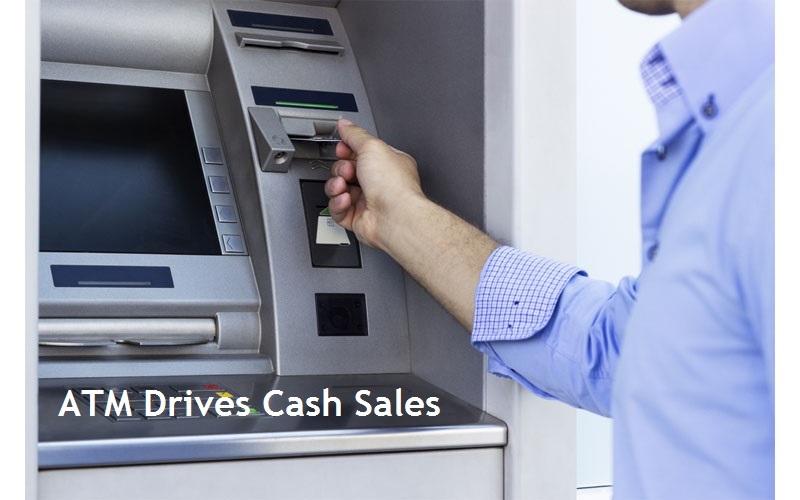 Operating an ATM is easy and a great way to drive more revenue and foot traffic into your establishment this year! Call or email us today to learn more.